For our honeymoon, my husband and I went to Aruba. After my first trimester of pregnancy was complete I finally started to feel better. I had endured three months of horrible morning(all day) sickness. My doctor had mentioned that this would be a great time for me to travel if I needed. Needed? I wanted! So my husband and I agreed that we should return to Aruba. It was so beautiful there. We always felt relaxed and were constantly surrounded by couples (of all ages). We stayed at the the Wydham Hotel and got the same honeymoon suite we had after we got married. It had a gorgeous oceanfront balcony, that was well worth the extra money. The bathroom itself was worth the money, because it was larger than my bedroom at home. We didn't leave the hotel except for once to go to a great steak restaurant. El Gaucho's was the best dinner I had in months. It came highly recommended the first time we went and the second time was even better. The hotel had about four restaurants so we had our pick each night. The resort had a pool and beautiful cabanas on the beach. We spent our mornings by the ocean and our afternoons by the pool. We spent our happy hours on our private balcony. This is the best place to go for a babymoon, because it has everything at the resort so you don't need to go far. Ecspecially when your are swollen and cranky!! 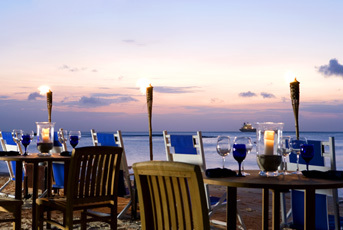 The Wyndham Aruba has been sold and is now The Westin Aruba Resort. The new owners recently completed a $24 million upgrade to the oceanfront resort. Must be a great place if you spent both your honeymoon and babymoon there!